While we love a well tailored suit, there's something so effortlessly cool about a guy in a t-shirt and jeans. Flat Spot is owned and run by local skateboarder Trevor Rowan. The shop is a huge supporter of the community. 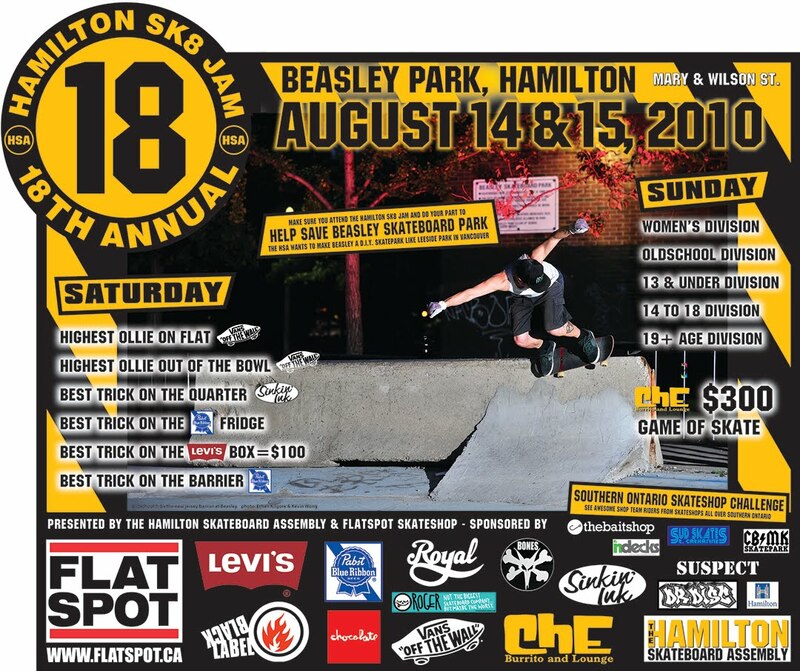 For the past 18 years a local skate competition has been held at Beasley Park -- where Flat Spot donates boards and clothing to kids who otherwise might not have the resources to purchase their own. The competition is sponsored by Levi's, PBR, the Hamilton Skateboard Assembly and local restaurant Che Burrito. Owner Scott McDonald also donates to the $500 Game of Skate. From basic Vans to the new Chuckka Del Barco (love) and Converse Sea Star Ox Boat Shoes, the shop features a well curated collection that attracts skateboarders from all over. Flat Spot is always filled with local skaters -- many of whom are known throughout the country as some of the best. With its laid back atmosphere, you'll find them watching DVDs in the shop and hanging out on the front steps. A second store has been opened at 1070 Rymal Road. East. There is an assortment of great jeans to choose from; our pick is classic Levi's, particularly the 511 3D Tux Jean.